Alpine Eco-Sphere Pond Pumps are ideal to power filtration systems and waterfalls. 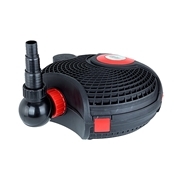 The energy-efficient pump includes "Click Fit" connectors for easy maintenance. Model PUR5400C features a inline controller to precisely adjust the water flow.